'Resonance' is not only found in the physical, but also the corporate world. The key is to take an enterprise wide perspective that can address the identified performance gaps and by aligning the right interventions in the right place at the right time, you will produce disproportionate gains. If this sounds to you like the holy grail of business performance improvement, then your right. The strategy is to take a highly disruptive event such as a merger, acquisition or divestiture and turn it around to our advantage. To achieve this aim, we extensively researched and developed assets that would support a structured and coordinated approach to delivering organisational performance improvement. We also leveraged extensive research into the characteristics of high performance organisations that significantly outperform their competition. These collective characteristics serve to inform the "desired state", against which current performance characteristics are compared and performance improvement interventions planned. 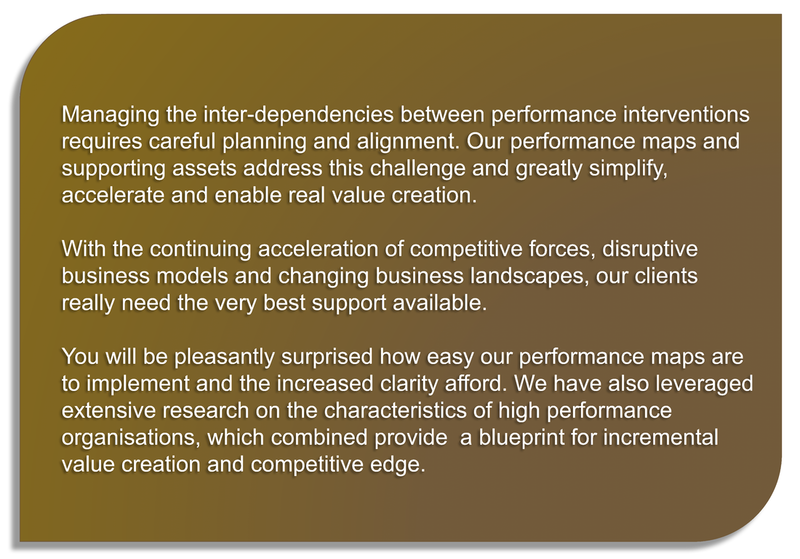 Pulling this all together is our performance maps, which work seamlessly to enable a practical and engineered approach to realising value creation. 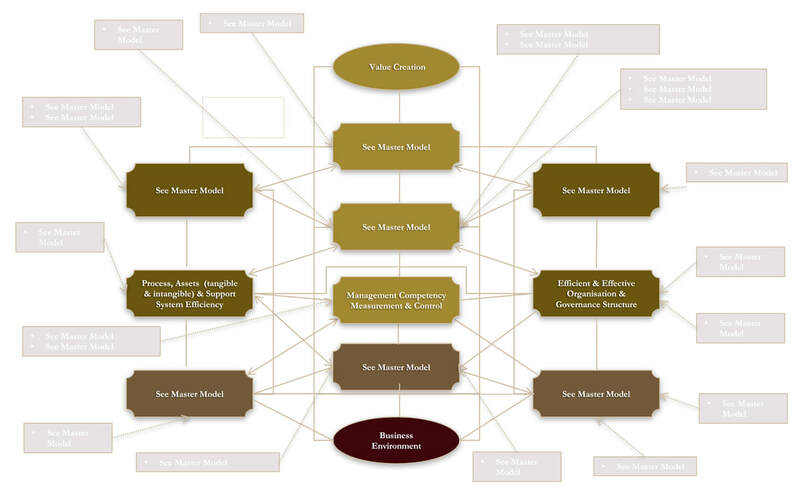 These maps already codify much of the the complex logic and understanding required to successfully deliver performance improvement in the newly combined business entity. In the area of non-financial performance, HPOs consistently achieve similar results: they achieved much higher customer satisfaction, customer and employee loyalty and quality of products and services. If you would like to know more about our approach to organisational performance improvement and how this can be embedded into your M&A integration then please get in touch.